What to do when your baby is a Fussy Eater? It’s normal to be fussy eaters for children- which depicts they may not like color, shape or texture of particular foods. 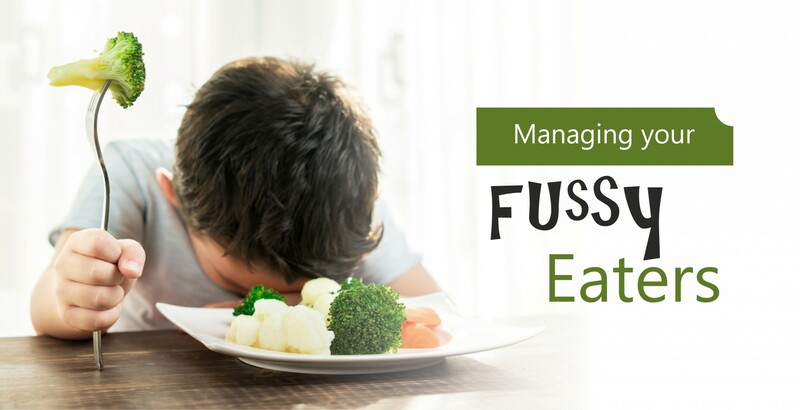 Fussy eaters constitute a bulk of child specialist’s OPD visits as their poor eating habits worry parents who often turn obsessive about the lack of good nutrition. Such behavior affects as much as 80% babies at some point in their toddler years. The reasons for fussy eating habits are not exactly known, but from the toddlers’ perspective, any new food is viewed with suspicion with some children even refusing a broken biscuit because it looks different from the food they are used to. Picky eating may also be your toddler’s way of showing their independence as they learn to feed themselves. Eat well and eat together as much as possible: Eat as a family with your toddler whenever you can. Toddlers learn how to eat by copying their parents and other children. Try to offer the same food you’re having. If you like it, your toddler may be happier to give it a try. Introduce new foods gently: Offer just one new food at a time. Let them have a taste before putting a whole serving on the plate. Even a small bite is enough. This decreases food waste and also prevents getting the kid overwhelmed. Sometimes you may need to offer new foods between 10 times and 15 times before your toddler’s willing to try it. You can always try again when he’s a little older so if he is very reluctant just give it a rest. Variety during weaning: Introduce as many foods as possible at an early age. Play games with kids on the dinner table and allow kids to play with food especially when introducing new foods. Kids are curious tactile creatures and allowing them to touch, squish and play with their foods helps in making mealtimes fun. If your toddler is more likely to eat something he’s chosen himself, let him pick from a small selection of healthy foods. Veggies can be tricky! Be up-front about fruit and vegetables. Another useful trick is to allow kids to participate in buying them –that familiarizes kids with the raw form of the vegetable. Focus on victories! Positive reinforcement goes a long way. On the other hand, getting anxious about food has negative associations for the child. Let mealtimes be the happy relaxed playful times instead of allowing your frustration to get the better of you! You may have to ignore some of their bad behavior and by doing this; mealtimes are likely to be less stressful and more enjoyable for the whole family. Keep mealtimes to a set length Toddlers usually eat as much as they’re going to in the first 30 minutes of a meal. Don’t try to persuade them to eat more after this time as it is unlikely to work. Keep an eye on what he/she drinks during the day: Some toddlers have a little appetite at mealtimes because they’ve taken in too many calories from sweetened drinks and milk during the day. Milk is often a culprit and you need to keep in mind that children need only 350ml and 500ml of milk a day. Further, give milk to your toddler in a cup rather than in a bottle as this is better for his teeth. If your toddler doesn’t like milk, he can still get the calcium he needs with three portions of dairy foods a day, including yogurt, cheese, and custards. Between meals, give your toddler water to drink. Rewards for older kids: Give your child a sticker for eating new foods. When they have collected a few stickers, reward them with a prize. The first one should be easily attainable to help your child take this game seriously. Let them into the Kitchen: Children love to imitate parents and letting them help in the kitchen (with stuff that’s safe for them of course) really helps. Most children adore cracking eggs or helping to knead the dough. Again, let them be messy and let them have fun in the kitchen. Being involved in the planning and preparation of a meal stimulates a child’s appetite and helps them eat home cooked food. Avoid Junk: Have a low shelf in the fridge with cut up fresh fruit and other healthy foods. When little ones are hungry, they won’t wait and therefore it’s important to keep colas, wafers or other junk foods outside their grasp. Sometimes with older more persistent kids its important to avoid getting anything unhealthy into the home at all. It may be a good time to improve parents’ health as well! Healthy versions of junk food: Lots of children like eating pizzas and burgers and its easy to find recipes online that can get these foods to be healthy. Grow herbs: Teaching children where food comes from is not hard at all. One can find so many resources about growing herbs like tulsi, thyme and basil in a corner of the house. Getting your kids growing their own herbs or sprouting seeds in little pots on window shelves can get them really excited about food. Blend in the veggies: What children can’t see, they can’t pick out. Again, so many recipes allow vegetables to be blended into rotis, cakes even muffins. Research recipes online and let your kid not be in the know! What to expect during an MRI? Dental Implant – Why should you go for it ? Miracles Mediclinic is committed to consistently provide superior healthcare services to address day-to-day healthcare needs of a family. 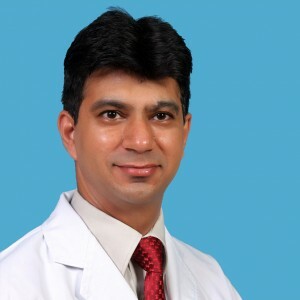 Miracles Fertility & IVF Clinic offers complete range of fertility services under one roof. Apollo Cradle, Gurugram is operated under license from Apollo Health & Lifestyle Ltd.